The current financial mess that clubs in La Liga find themselves in means there is little transfer spending in evidence in the domestic game. Aside from Barcelona and Real Madrid, only Villarreal, Granada, Valladolid and Elche have a net spend in transfer dealings. Cumulatively, the four clubs have a net spend of approximately £12m, enough to buy you half of Roberto Soldado. Spanish clubs have had to improve their scouting network and youth development to secure players for their squads. The days of big transfer fees in Spain are long gone except for the big two. Free transfers and loan are the order of the day. With high debts to service, it’s a buyer’s market for clubs willing to shop in La Liga. If you shop correctly. And a number of Premiership sides are showing exactly that. So far this season Premiership clubs have acquired 17 players from La Liga. And with over two weeks still to go until the transfer window closes, who would bet against other players arriving from Spain? The list below shows the 17 players who have left La Liga behind to begin a new chapter in their career in the Premiership. For the likes of Joel Robles and Jonathan de Guzman who spent last season on loan, they will already know what to expect and no adaptation phase will be required. From the remainder, some are known whilst some will be complete unknowns to the average fan but one question will be on everyone’s minds. What will the players offer to their new clubs and more importantly, will they be a standout or will they be a flop? The Andalusian’s have sold six players to Premiership clubs this summer with four of these players having been developed in the club’s cantera. The loss of their prized asset, Jesus Navas, may well have seemed an unlikely event a few season ago. The problems of his severe homesickness overcome; Navas has left his hometown club where he has played since he was 15 to join ManchesterCity. What Navas offers is fairly simple. He’s very fact and very direct. 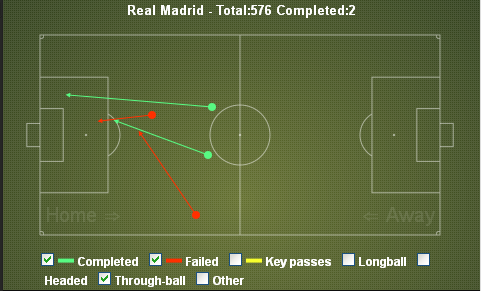 Navas runs, beats left backs and creates chances. Last season the winger averaged 2.1 key passes per game. If those are the plus points for Navas, the negative points can be neatly summed up but his apparent inability to shoot well. His finishing can be quite woeful at times and despite making some 393 appearances for Sevilla, Navas scored just 34 goals. 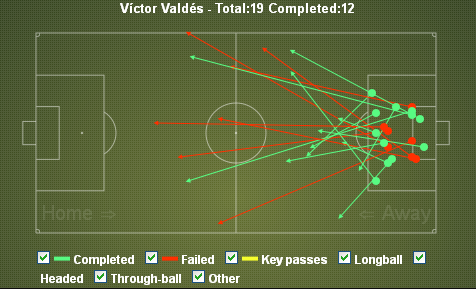 Whilst that can be derided, what cannot be is the volume of chances that Navas creates. A European and World Champion, Navas is entering the peak of his career and the strikers at Man City should be the ones to benefit. Just don’t expect him to score. Two of the top scoring Spanish strikers from La Liga over the past few years, both full internationalists, will have their eye upon challenging for top goalscorer in their new league. Alvaro Negredo moves to the Etihad whilst Roberto Soldado arrives at White Hart Lane. The two strikers both spent time at Real Madrid before moving elsewhere, scoring goals and moving on to higher profile sides in Sevilla and Valencia respectively. Despite their goalscoring records, there is a view that both have been overpriced. At a cost of £22million for Negredo and £25million for Soldado, neither is cheap and suggests that both Spanish sides were the real winners in negotiating such lucrative sales which enabled them to reduce debt and acquire replacement players. Soldado has the better career scoring record with 193 goals from 397 appearances and is a typical penalty area striker who needs to improve his link up play outside of the box whilst curbing his penchant for dissent. Yet at 28, Soldado is unlikely to radically alter his ways now. For Negredo, there is more to his all round game and his lower scoring record with 139 goals in 328 appearances can be tempered by his other qualities to an extent. He can be used during quick counter attacks or as a central reference point in a crowded penalty area but he is very wasteful and frequently squanders good chances. Both will score goals, the real issue is whether they take the chances presented to them in key games. Combined they have 25 appearances for Spain and 12 goals. That neither can establish themselves in an International side which, for all of its talents lacks a genuine world class striker, on a regular basis hints at an inability to make that final step to the very top level. Spanish football is renowned for being physically weaker than the Premiership. The game is slower, there are fewer tackles and everything is just a little soft, isn’t it? The arrival of Fernando Amorebieta at Fulham and Gary Medel at Cardiff City will swiftly demonstrate that stereotypes should be avoided. Both are extremely physical players with Amorebieta collecting four yellows and one red in 11 appearances last season whilst Medel surpassed that with seven yellow and three reds in 32 appearances. Both should have no problems settling into the higher tempo of the Premiership or will they wince under a hefty challenge. Amorebieta has a decent passing range on him for a central defender and long crossfield passes are a feature of his game. Medel can help set the tempo for his team by pressing and harassing the opposition quickly but he can be just as adept at collecting the ball and moving possession quickly. 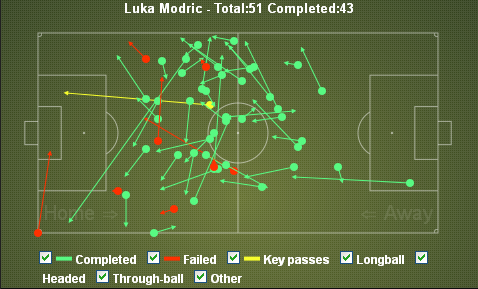 He is no Xabi Alonso but his passing ability is often overlooked. The problems both will encounter may lie elsewhere. For Amorebieta, the Venezuelan Internationalist is weak when pulled wide and can be beaten easily for pace and mobility when he is isolated. He needs protection from his full back. The Chilean Medel, meanwhile, has an extremely quick temper and is prone to making rash, impetuous challenges especially when the tempo of a game rises. Swansea Under the Radar. Again. Last season it was primarily Michu along with Pablo and de Guzman who arrived from La Liga and shone in South Wales. This season, Laudrup has again returned to Spain and acquired shrewdly. Alejandro Pozuelo, Jose Canas and Jordi Amat join the ever growing ranks of Spaniards at the Liberty Stadium for the combined sum of roughly £3million. Pozuelo and Canas were key figures in helping Real Betis to defy expectations and finish 7th in the league. 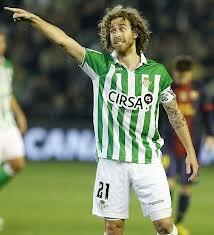 Pozuelo made 29 appearances and scored 3 goals over two seasons for Betis. An attacking midfielder who rose to prominence whilst still in the Betis B team, his performances earned him several call ups to the senior squad before eventually joining the side, his first team action may be initially limited. Canas is a defensive midfielder who does the simple things well. He can tackle, intercept and make passes. His impact should be more visible from the outset and adds to the depth of options that Swansea now enjoy in midfield. The two players from Betis will be used to a slightly more direct style of game than that which Swansea play. 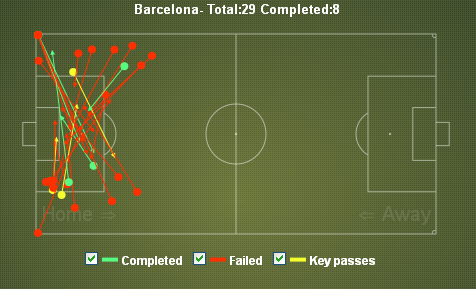 Betis tended to have less possession than their opponents and counter attack swiftly. This should present no problems to their third acquisition, the young central defender Jordi Amat. 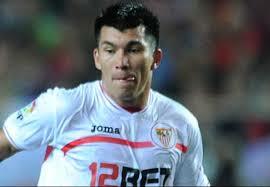 Although purchased from Espanyol, Amat spent the season on loan at Rayo Vallecano. At just 21, Amat is still raw as a central defender but has decent pace and intelligence. Three summer signings that may have been more low key over the last few weeks yet potentially could be excellent signings for their new employers. The cliché may be well and truly worn out now, but this season there is the possibility of a former Barcelona player slogging it out on a cold wet winter night in Staffordshire. with Stoke City securing the Barcelona centre back Marc Muniesa on a free transfer. Touted as a future first team player a few season ago, he failed to make the step up and has seen injury blight his career over the past season with a torn cruciate ligament. Handed his top team debut by Guardiola, although he was subsequently sent off shortly after taking the field, the defender can operate as a left back but prefers to play in central defence. Part of the Spain side that has just defended their U21 European Championship, if Muniesa can recapture the early promise he showed in his career, Mark Hughes and Stoke City may have picked up a quality addition to the squad for free. 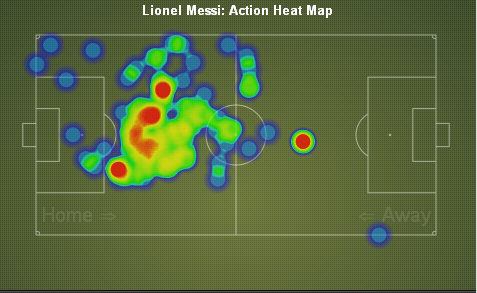 How he handles a significantly more robust style of play though will be a determining factor in any success. Another youthful arrival from La Liga will take his place at Selhurst Park this season under the watchful, if a little erratic, gaze of Ian Holloway. Jose Campana was captain of the Spanish U20 side that reached the quarter finals of the U20 World Cup. An excellent prospect in midfield, the technically proficient youngster leaves Sevilla after a fall out despite the club placing faith in him. Whilst his technical quality may not be in doubt, his temperament of the pitch is and whether the bright lights of London are the ideal place for him to regain focus remains to be seen. If Holloway can curb his more exuberant side, Palace may have found a gifted midfielder. Roberto Martinez has secured something of a minor coup with the season long loan of Gerard Deulofeu from Barcelona. One of the most promising youngsters in European football, the loan is also represents a display of faith in the regime that Martinez is trying to instil on Merseyside. Deulofeu scored 18 goals in 33 appearances last season for Barcelona B playing in La Segunda. Able to play on either wing or behind the main striker, the young Spaniard is versatile and very direct. Those have been questions asked over his decision making however with a tendency to shoot rather than pass being notable but entirely understandable given his age. If the rough edges can be quickly polished, Everton may well have a considerable gem on their hands this season. The last time an armada this large arrived from Spanish shores, a hasty retreat followed shortly thereafter. It’s safe to assume this fleet is likely to harbour in England for some time to come.